i can only relate to a few kinds of being high, i know being able to relate to even one is bad. and as im typing this i just realized that health class is true everything is a gateway to another. but anyways. I started abusing energy pills when i was 14. i know what you are thinking energy pills cannot be abused.... well let me tell you this, if you take about 10 at a time and do laps in the living room floor while your family stares at you that's a problem. and that led to a friend saying wanna smoke pot, sure why not that can't hurt me (and out of all the drugs i have tried pot is definitely the safest). So i started smoking at the same age, and when i told my mom instead of yelling and telling me to stop and all this and that, that parents do. What did my mom do? She became my supplier ( I think she was trying to make up for skipping out on the first 13 yrs of my life ). So everyday I came home from school, my baggie was on my pillow. And then came cigarettes. (Honestly I started smoking at 8 but shhhh). And if that wasn't bad enough those were supplied too. So, I smoked and abused energy pills at this point. This lasted up until I was 18. I graduated high school as a mom, (I know stereotype) and moved in with one of my friends. We would go out to bars even though we were underage (you can get in anywhere when your the "DD", and when your friends uncle owns a bar), and then that lead to partying every weekend and being smashed all the time. So at 18 I'm up to stackers, pot, cigs, and booze.... But wait it gets better, one night while our normal booze fest was going on I walked in the kitchen to white powder in lines on the table... (Percocet) and someone telling me try this stuff it's awesome makes the buzz better. And as the drunk 18 yr old I was, I figured why not. I didn't use them all the time just occasionally when we were drinking. Skip forward I moved away from home at 19 and was forced into marrying a very abusive man, I was locked in a room 24/7 unless I was accompanied by him to leave, and I mean everywhere even the bathroom. And when I showered he would inspect my body for any new marks. Don't know where he thought I got them from considering I was a prisoner but buddy let me tell you if he found one little line he didn't think should be there it was a living nightmare of hands flying against wet skin. But I escaped, but not before I got pregnant twice and had two more children 10 months apart. So at 22 that makes me a mother of three and struggling for everything. But in the middle of all this I met the love of my life. But he to is an addict. And everyone knows what happens when addicts get together.... Nothing good (I mean we are happy together and love each other I am meaning on the enabling each other page) but we have a child together also so four kids and at this point at 23 and a full blown addict. We have lost everything a couple times because of our addiction we would be doing okay and then I think we'd get to big of a head thinking we can have it all so we are shown and proved that that was a lie. But then on the second day of this I started feeling HORRIBLE I mean down right passing out, sick to my stomach ready to die sick. And I asked the obvious to the person who gave it to us HOW DO I MAKE IT STOP? Their answer word for word, it's easy either sleep for two days or simply DO MORE. So what did I do? Yep you guessed it I'm a moron, so after a whopping 80+ hours (no joke I tried everything) of no sleep, and the feeling the whole world is after me, every little tiny thing I see out of the corner of my eye scares me to where I jump, and any noise I have to check out just in case, and God forbid someone knock but then I finally slept, and swore that stuff off. Never to touch it again! But then today came and so did the meth. A little vile that doesn't look like much was placed in my hand, and the addict in me screamed from the roof tops DO IT DO IT DO IT. and I did, on top of my normal fix. But somewhere along the lines of today something changed and we decided a definite NO MORE of anything. We texted our dealers (yes more than one) and told them no matter how much we beg do not sell to us anymore. They agreed thank God! But now I am sitting here in. The middle of the night with my 2 pills and my little bitty vile and having the biggest fight of my life with myself, I AM STRONGER THAN THIS! I CAN DO IT! And all in the back of my head wondering if I really can? So now comes the pain the wishing for death, the wanting one more fix, but knowing if we want a better life it starts with today. So to end 2-17-17 is my day, the day I decided to take my life back! Please get help for you and your family. Drug addiction attacks our brain and convinces that we MUST use and it's very hard to resist our own brain. You need to go to get help from addiction professionals to withdraw from the drugs safely and successfully. 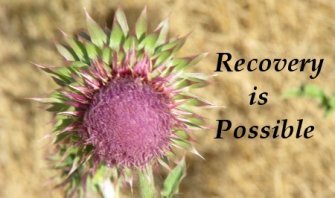 Once you've withdrawn from the drugs, then you need to continue in a treatment program so that you can avoid relapsing. Trying to quit on your own, in the toxic environment that you're living in, is not likely to be successful. Addiction, if left untreated, is often fatal. The reaction you had from using meth is an indication of the terrible harm that drugs are doing to your brain. Please seek treatment and join a 12 step program, so that you can live a life that will be good for you and your children.